Now that all the patterns for Stunning Stitches have been added to Ravelry, I've been enjoying hearing from all of you about which ones are your favorites. 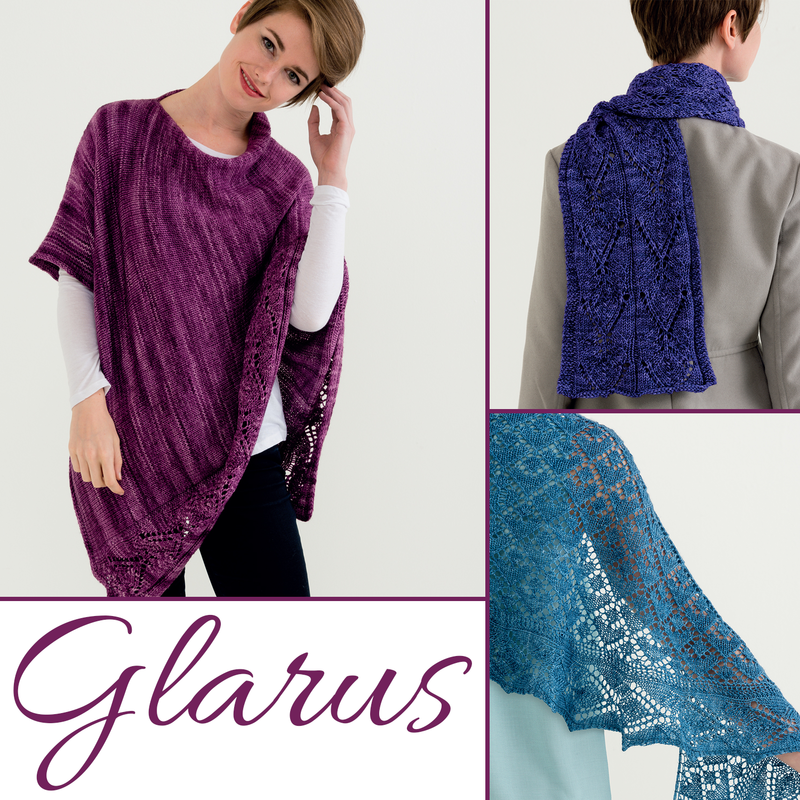 The patterns in the Glarus Set seem to be among the favorites in my new book! This set was built around a lace panel I found in one of my stitch dictionaries. 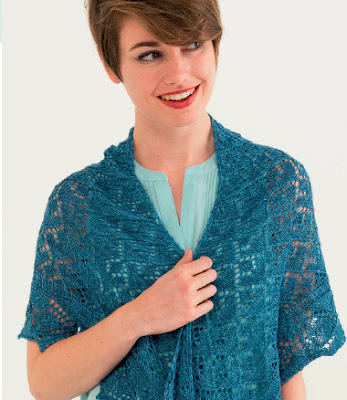 I immediately thought of the shawl, which is featured on the cover of the book. The panel screamed knitted-on border to me! 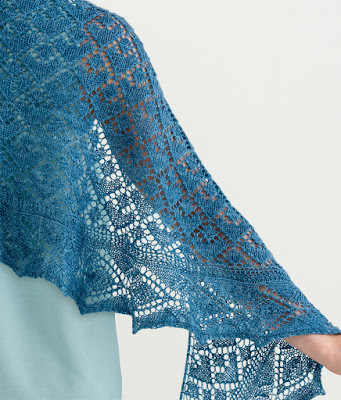 I picked a lace pattern for the body of the shawl that I thought would compliment the border. I'm so pleased with the results. And then I got crazy. I'd been wanting to jump on the poncho craze for awhile. It seemed like the right time. The Glarus Poncho is a nice combination of easy Stockinette stitch, with the lace panel running along one side. I can't wait to wear this poncho this fall! The set is finished off with the scarf. The panel is worked twice, creating sort of a cool, super-wide lace ribbing. You could definitely add another repeat of two to make it into a stole. I think it would be beautiful! 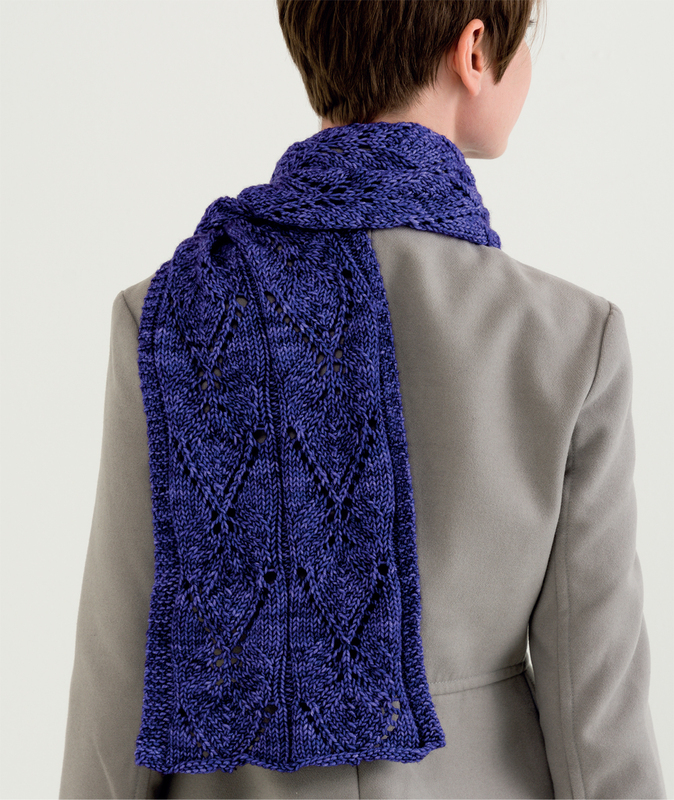 I used Anzula yarns for these pieces, and it was definitely the right choice. I think their yarns really are perfect for lace. The stitch definition is awesome and the colors are simply amazing. Want to see more of the patterns from the book? Check out the Ravelry pattern page for the book.